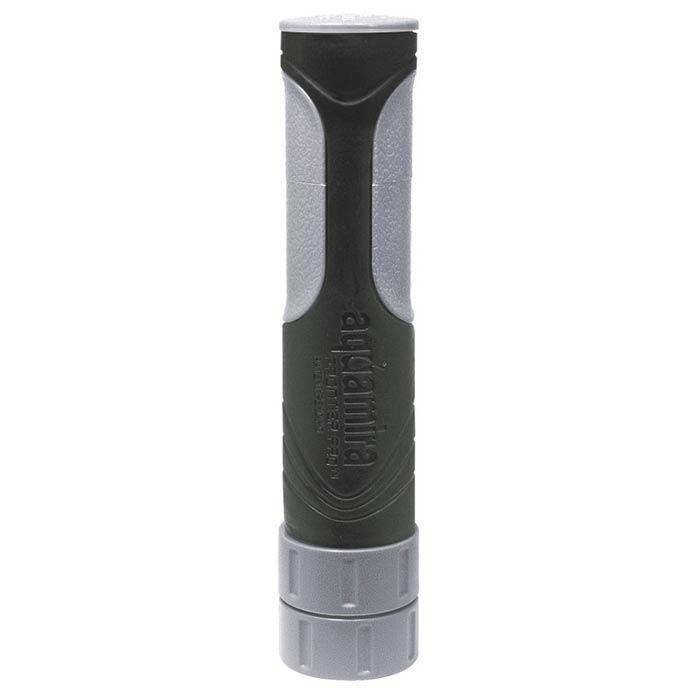 The Aquamira® Frontier Pro Portable Water Filter System provides all the benefits of a larger bottle filter in a compact size. 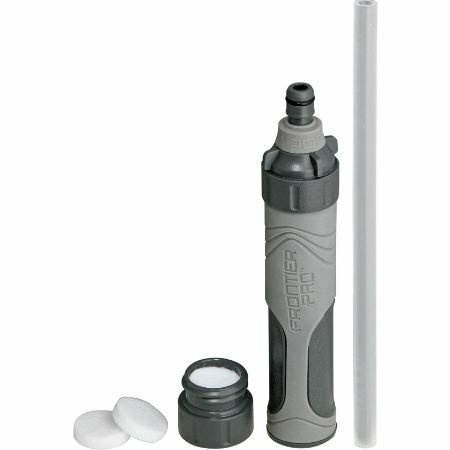 Straw style filter attaches directly to water bottles or bladders and attached cap keeps mouthpiece clean. 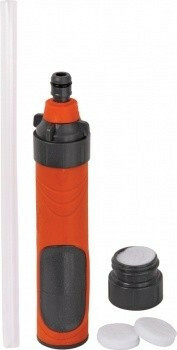 Flexible Integrated Strap Grip secures cap to filter when not in use and allows for easy cap removal. Bite valve can also be removed to use as hanging drip filter. Replacement pre-filters lengthen filter life. Filters up to 50 gallons (app 200 ltr).